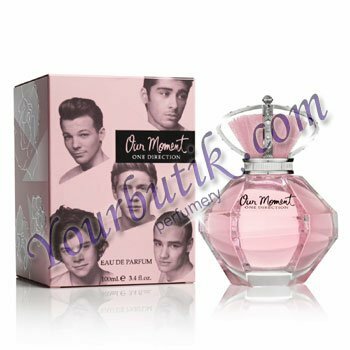 Our Moment by One Direction is a Floral Fruity fragrance for women. This is a new fragrance. Our Moment was launched in 2013. Top notes are pink grapefruit, forest fruits and red currant; middle notes are freesia, jasmine and frangipani; base notes are woodsy notes, patchouli and musk.